VT Spike Feet Deluxe is an effective spike feet. It is ideal as spike feet for speakers weighing less than 80 kg. The VT Spike Feet Deluxe lowers transmission of the vibrations, generated by the loudspeaker cabinet, through the spikes to the floor. Easy to use. Just place VT Spike Feet Deluxe so the spikes point is place in the center of the VT Spike Feet Deluxe. 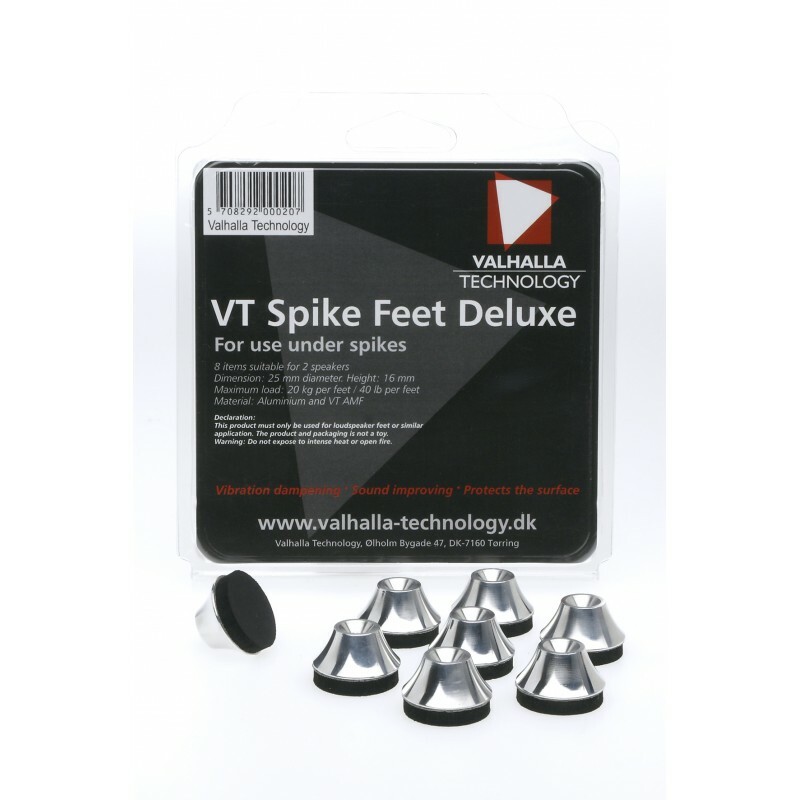 Make sure the surface beneath the VT Spike Feet Deluxe is level and flat.